Magnetic field turbulence in plasmas play important role in many astrophysical as well as laboratory plasma systems. For instance, the phenomena of energy release in solar flares, accretion of matter in stellar core, transport in fusion plasmas, etc., are all dependent on the behavior of turbulent magnetic fields. Understanding such turbulence is, therefore, crucial for unraveling these phenomena. One has been typically dependent on big laboratory experiments and/or satellite data for the study of such turbulence. 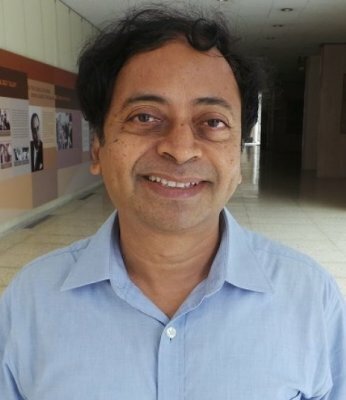 The talk will discuss about recent experiments conducted at TIFR which captures not merely the instantaneous turbulent magnetic fields but also its evolution in plasma as it gets excited by the laser first through the response of lighter electron species to ultimately when the heavier ion species gets involved in dynamics. It is also observed that the latter ion dominated regime the spectral characteristics of turbulence resembles that of astrophysical systems such as solar wind etc. It will also be shown that the analysis of experimental observations lays the foundation for uncovering novel effects associated with finite size of the electron beam generated by the laser when it interacts with matter. This would lead to a paradigm shift in the last 50 years of conventional thinking in the beam plasma systems. 1. S. Mondal et. al., Proceedings of national Academy of Sciences, vol 109, 8011 (2012). 2. G. Chatterjee et al, Nature communication, [DOI:10.1038/ncomms15970], (published 30th June 2017). 3. A. Das et al, arXiv:1704.00970[physics.plasm-ph]. G. Ravindra Kumar obtained his Ph.D. in 1990 from IIT Kanpur. He has been at TIFR since 1992 and is presently a Senior Professor in the Department of Nuclear and Atomic Physics. His areas of interest are experimental studies of high intensity laser pulse interaction with matter, creation and understanding of extreme states of matter and nonlinear optics. His area of study has implications for many branches of physics including plasma physics, astrophysics, condensed matter physics and optical sciences. He was elected a Fellow of the Indian Academy of Sciences in 2004 and of the Indian National Science Academy in 2008. He received the B.M. Birla Prize for Physical Sciences in 2000, the S S Bhatnagar Prize for Physical Sciences in 2003, a DAE Outstanding Investigator award in 2005, a J C Bose Fellowship in 2010 and the Infosys Prize in Physical Sciences in 2015. He has been on the International Committee on Utrahigh Intensity Lasers (ICUIL) since 2008 and is currently the Co-Chair. He is a life member of the American Physical Society, the Plasma Science Society of India and the Indian Laser Association. He is a member of the Optical Society of America. Amita Das obtained her M.Sc in 1986 and Ph.D. in 1990 from IIT Kanpur. Thereafter, she has been at IPR and is presently a Senior Professor in the Theory Group. 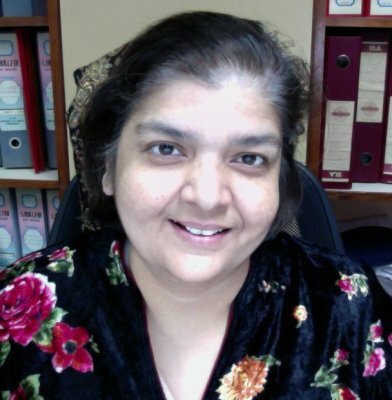 Her research areas of interest are theoretical and simulation studies of nonlinear and turbulent phenomena in plasmas, laser plasma interaction, fast electron time scale phenomena in plasmas, fusion plasmas and exotic regime of matter such as strongly coupled plasma system etc. She was elected a Fellow of the Indian Academy of Sciences in 2011, Gujarat Science Academy in 2011 and of the National Academy of science in 2015. She received the DAE Outstanding Investigator award for the project on “Study of Plasma Turbulence” in 2005. She has been the member of the International Advisory committee (IAC) for the International Congress on Plasma Phsyics (ICPP) since 2014 onwards. She has also served as an expert member of the Management Advisory Committee (MAC) of the international Project on ITER from 2014 to 2016. She is a life member of the American Physical Society, and the the Plasma Science Society of India.